"t is a pleasure to recommend Mike Cusimano with Premiere Team Real Estate for your consideration. I had the pleasure of working with Mike while I served as a Team Leader for Keller Williams in San Antonio. Because of Mike's success as a REALTOR in Austin, I thought it would be great to have him share some of his experience with my agents. Mike made the trip to San Antonio and set up a very impressive Power Point presentation for my agents. He explained the importance of Personal Marketing, Branding and persistence in developing a successful real estate business. Mike shared many stories of his personal transactions, and also explained negotiation strategies in helping both agent and client alike in the closing of a successful sale. Mike's enthusiasm and high energy are inspirational. My agents were very impressed with the unselfish sharing of Mike Cusimano. Likewise, they claimed to have learned more from him than from many of the seminars they had previously attended and paid for. I have personally sought Mike's opinion and counsel on many occasions and I can truly say, I have always walked away with a refreshing perspective on the business of real estate. 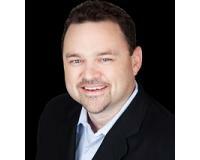 Mike is a hard worker, an advocate for his clients, and a very effective real estate agent. He has my highest recommendation. Approved by Tony Romero Posted by Premiere Team Real Estate "